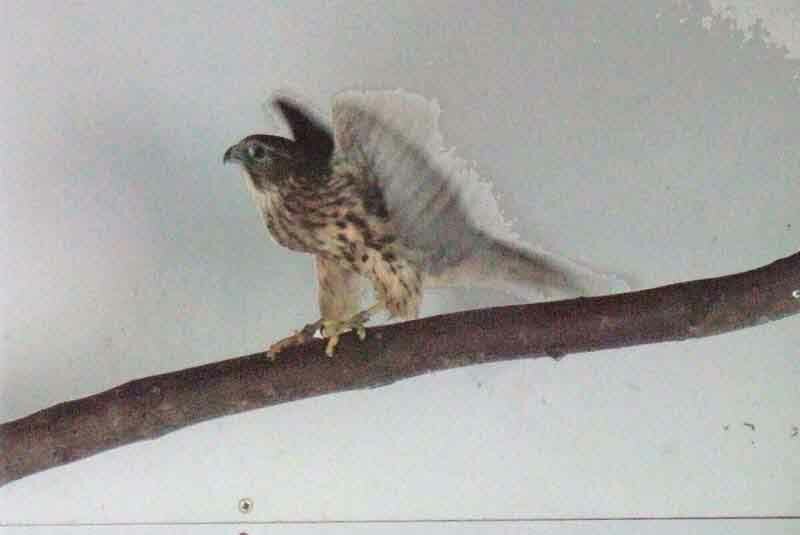 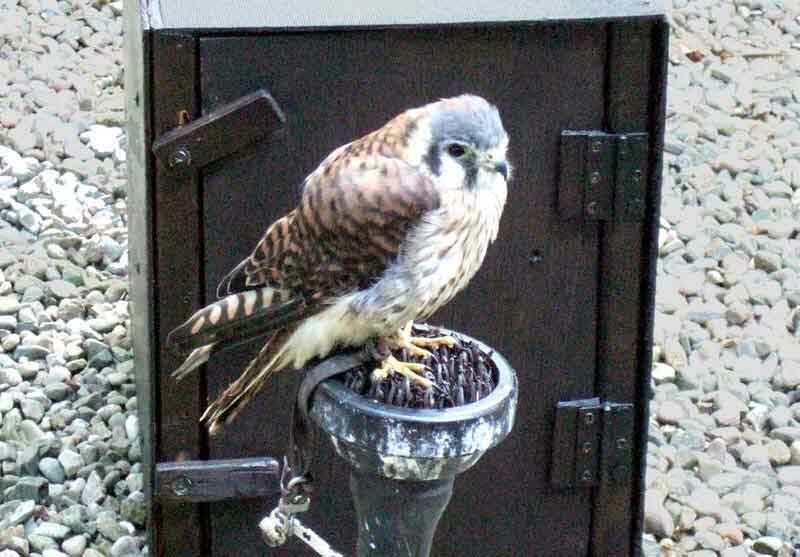 Kestrel. 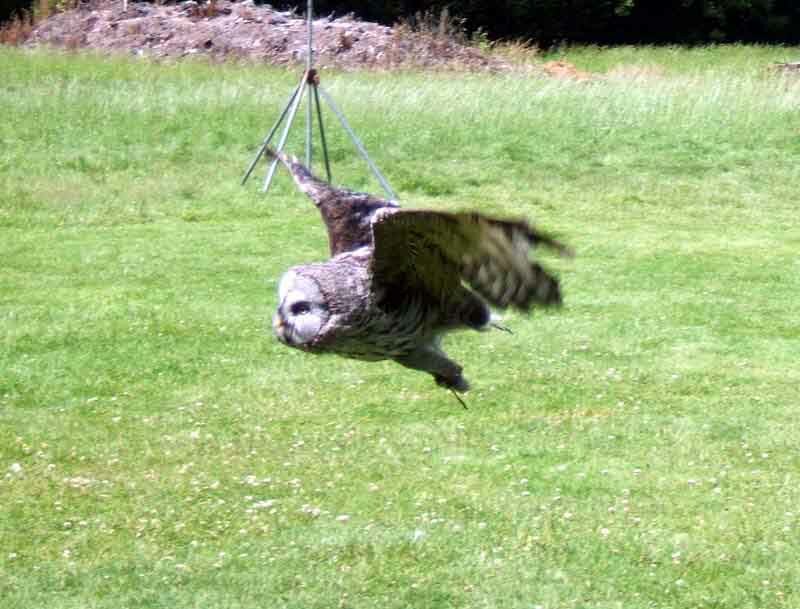 This little chap kept trying to fly off but getting pulled up short by its tether, I think I'd rather see them loose in an enclosure where they know they can't get out, than in the open air and trying like he was. 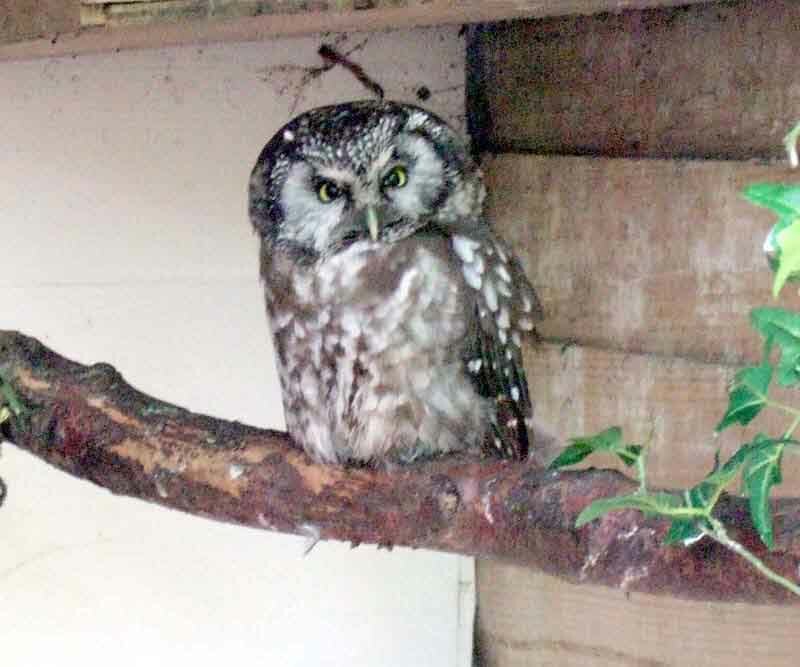 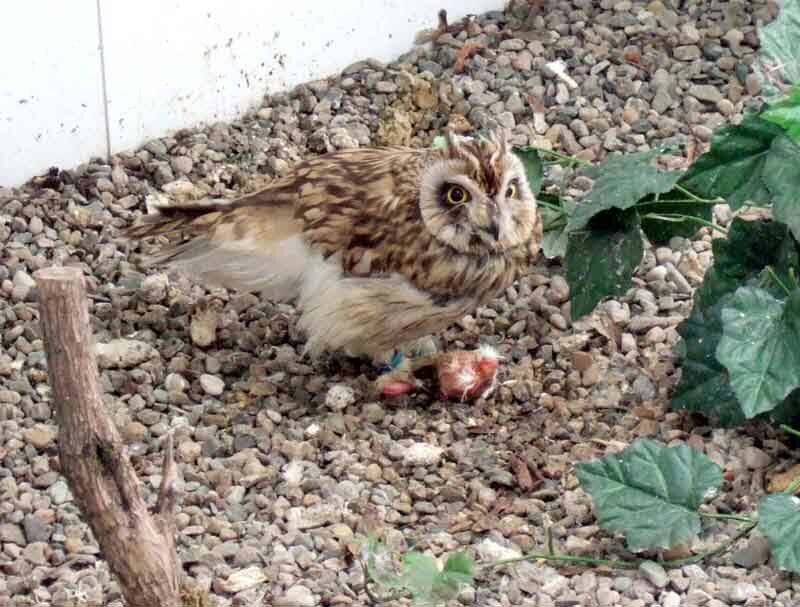 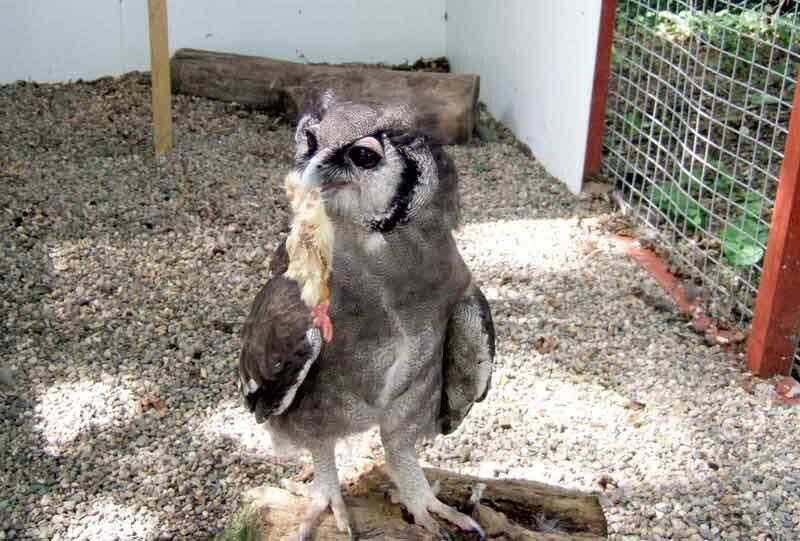 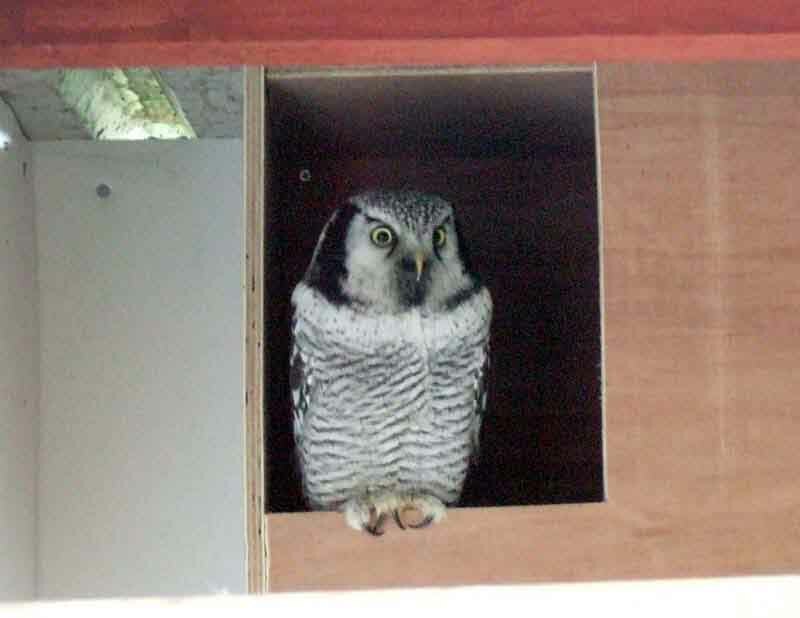 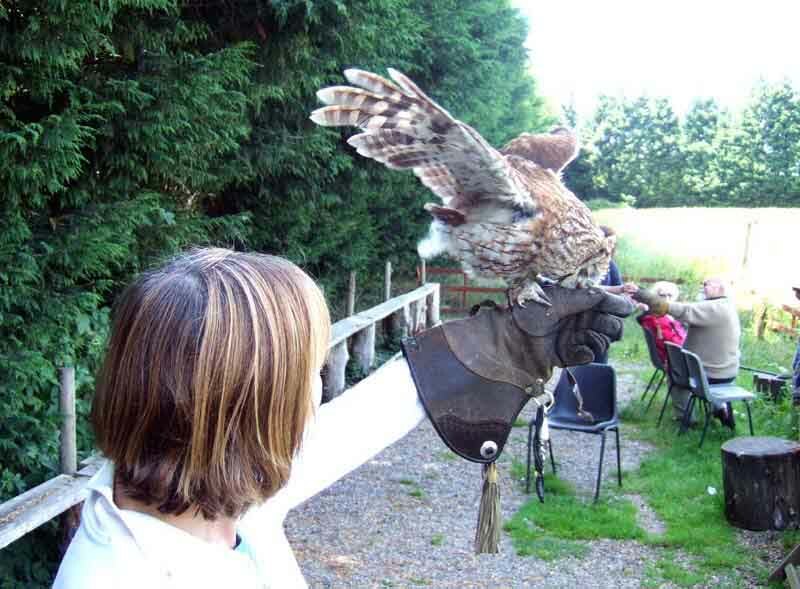 Owls are very short sighted, fly to the glove when they can see the food, but when they get there they can't see it at all and have to hunt around for it by feel. 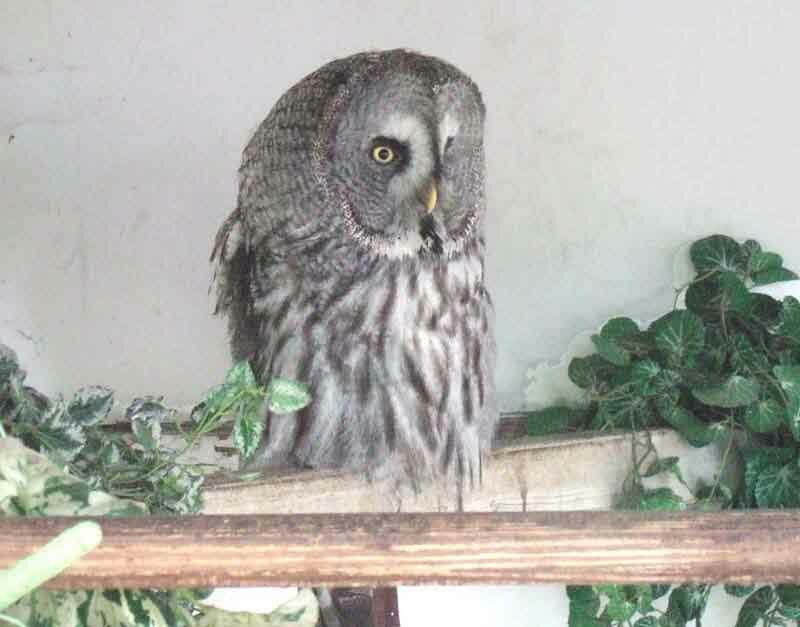 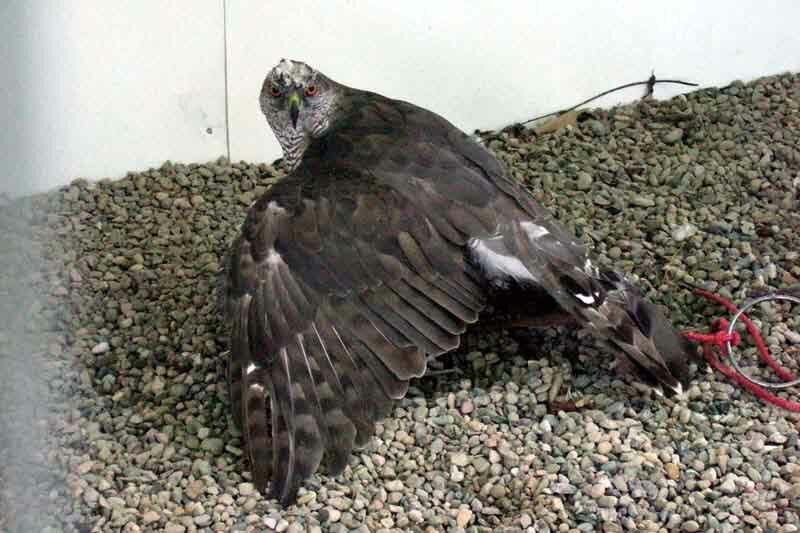 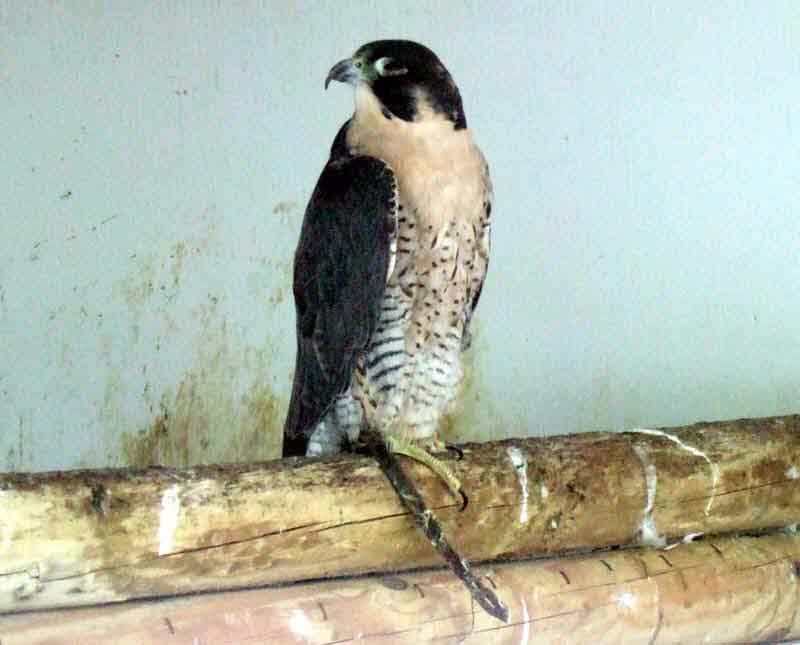 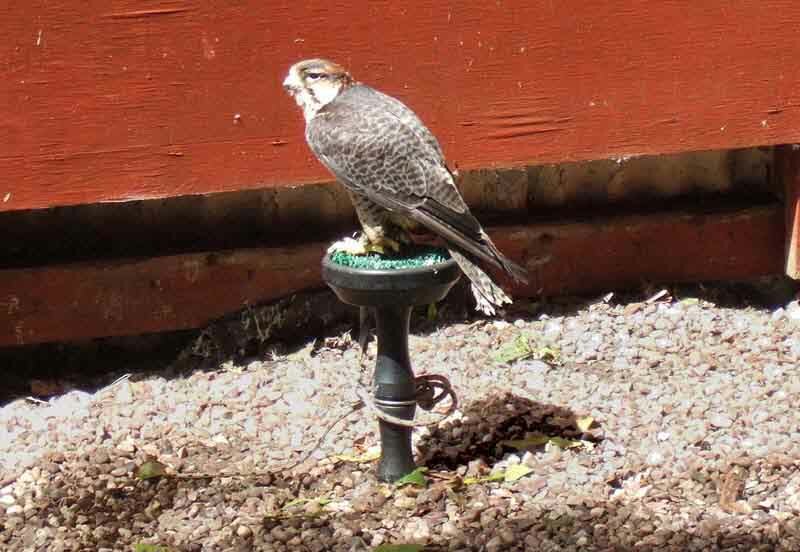 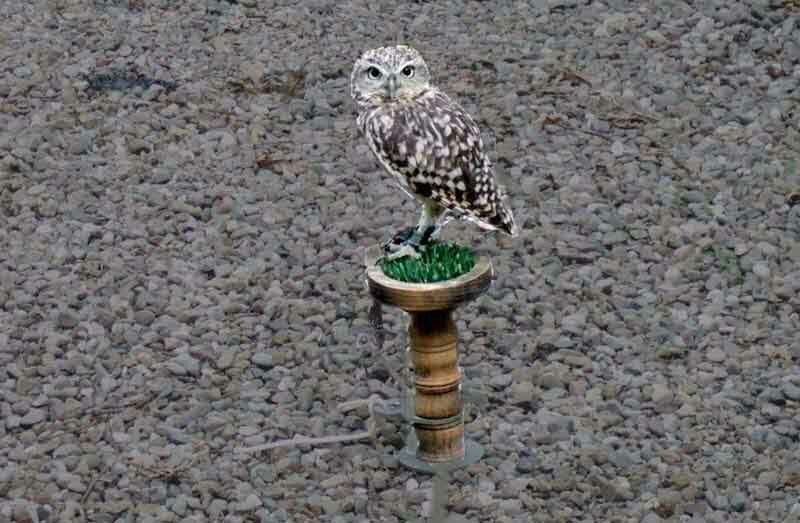 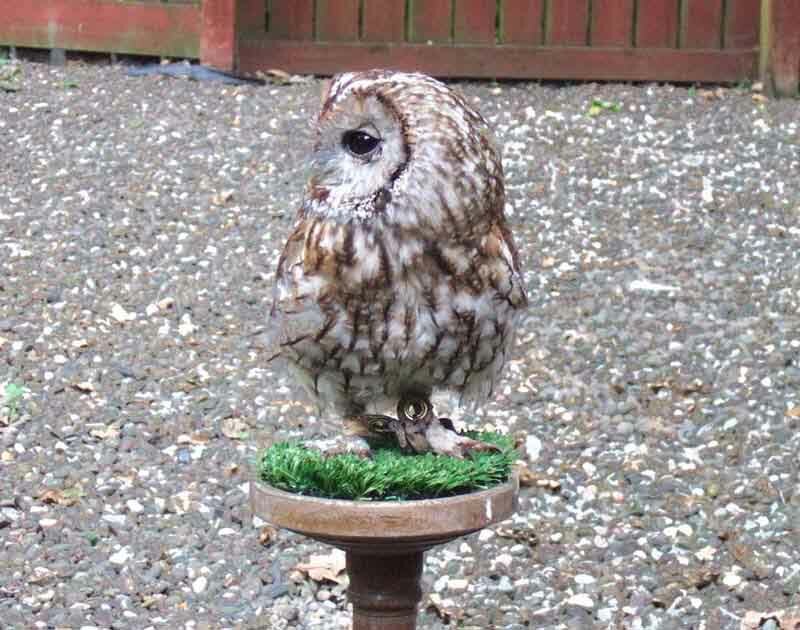 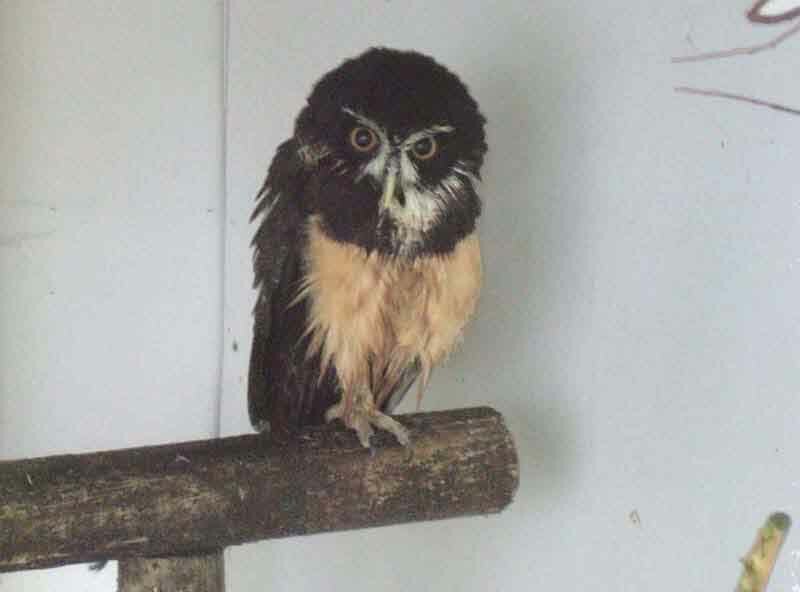 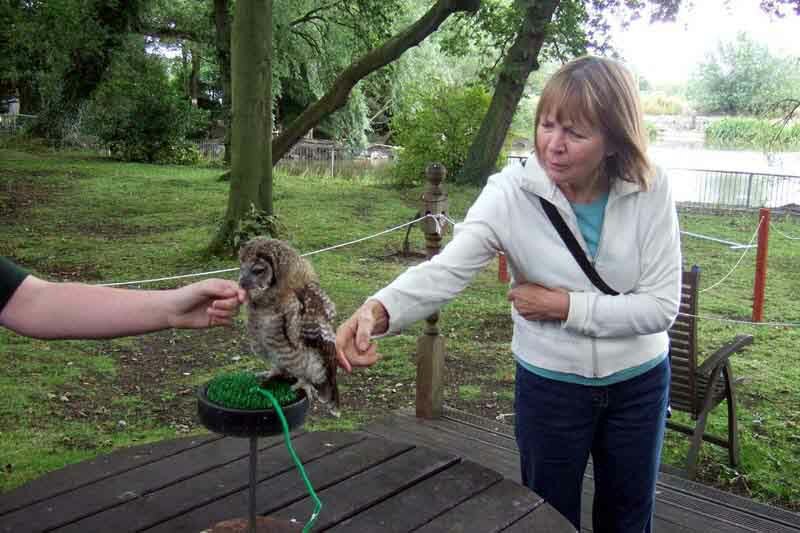 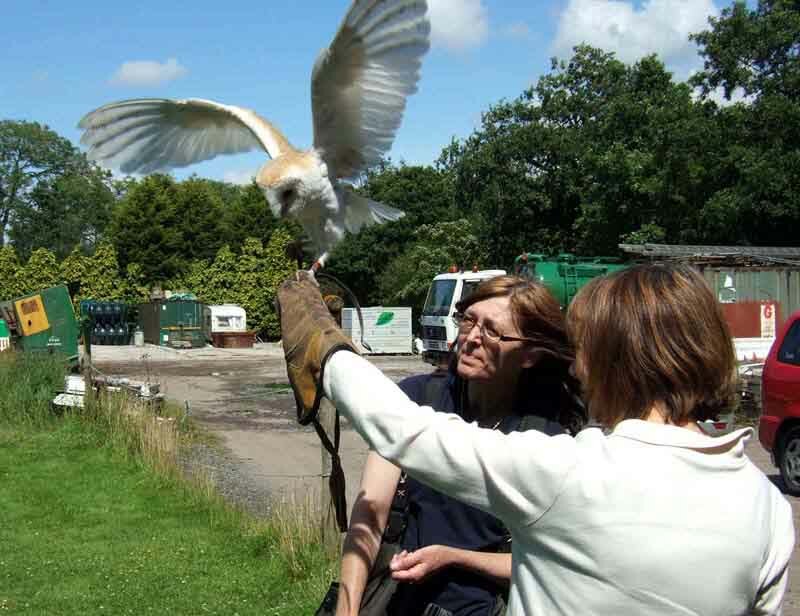 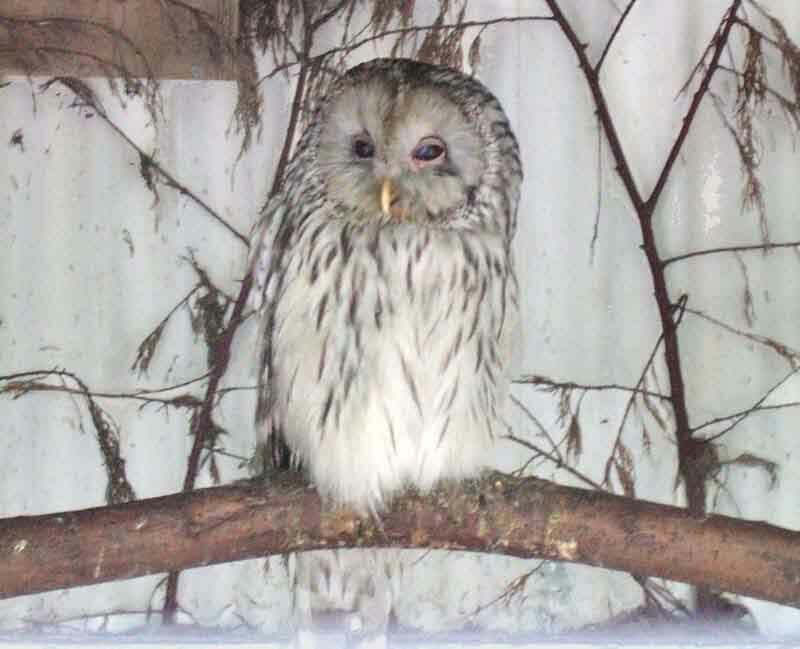 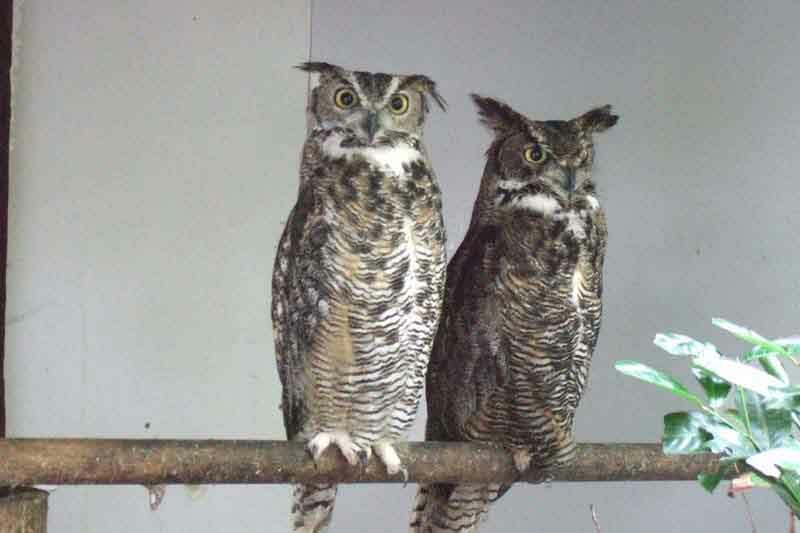 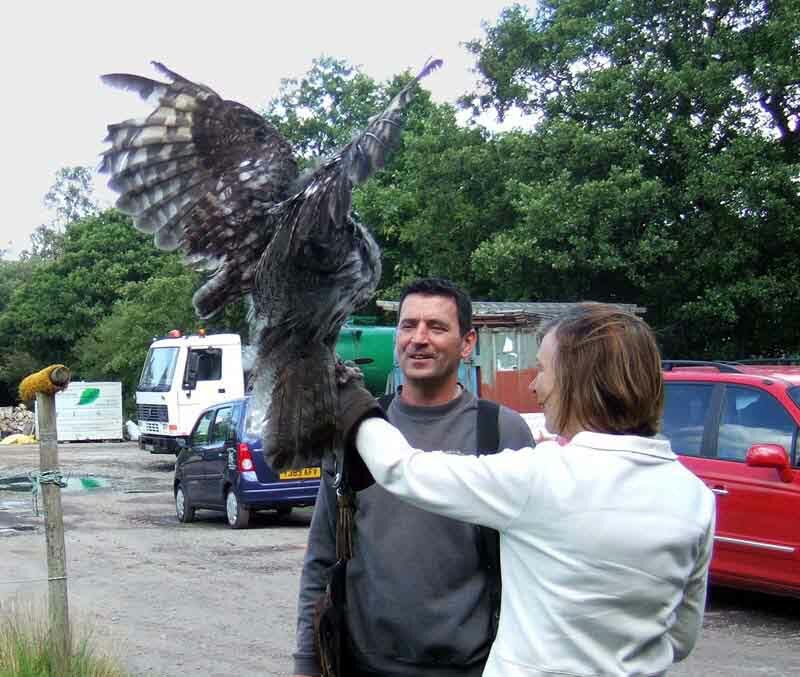 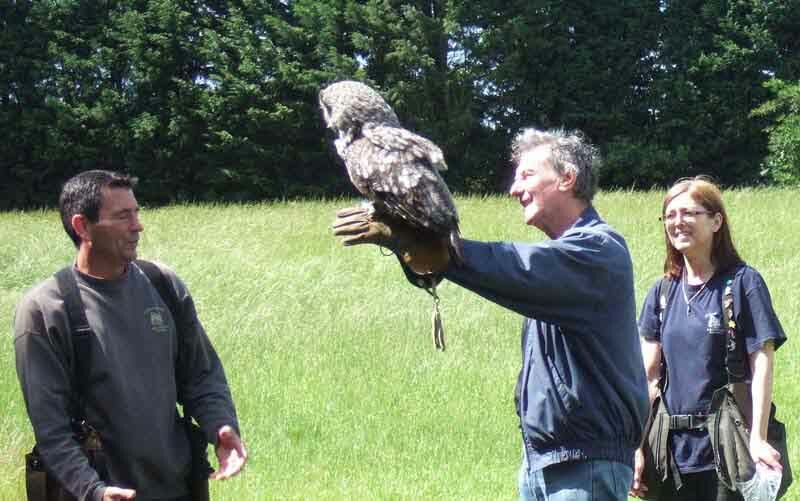 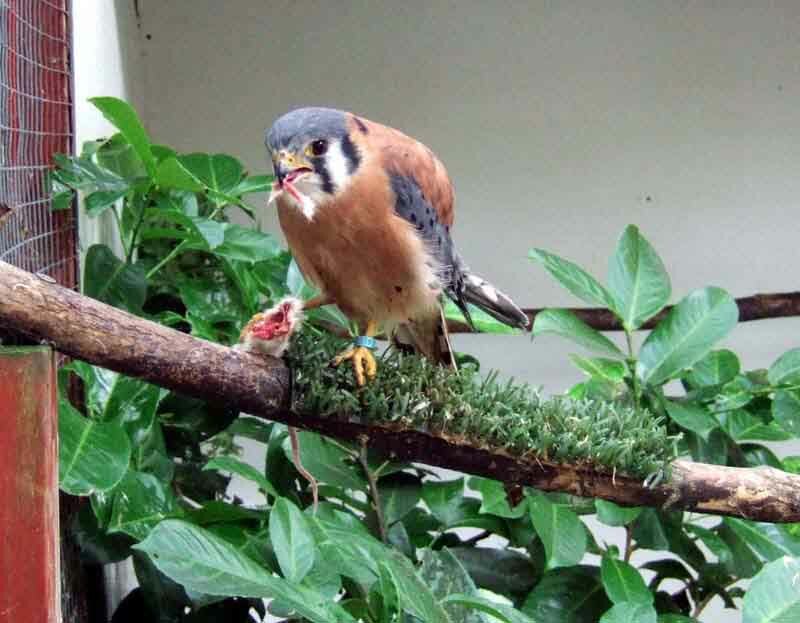 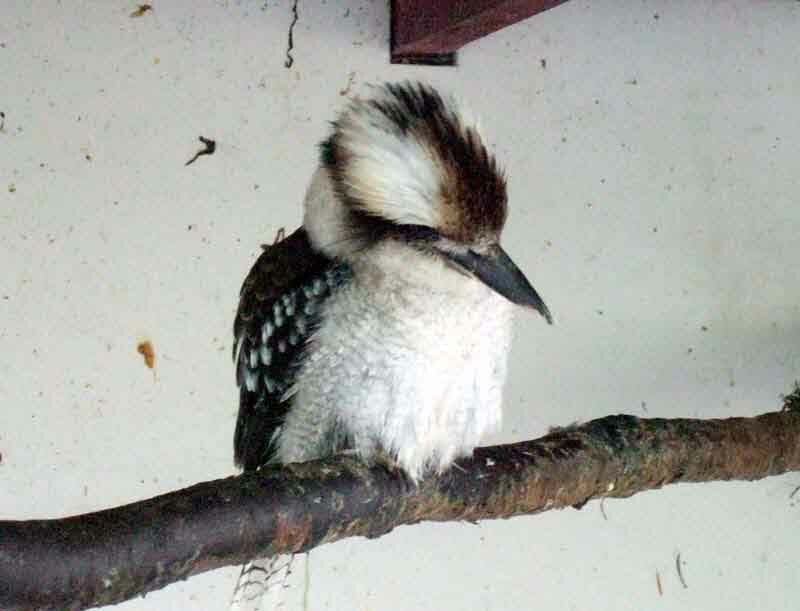 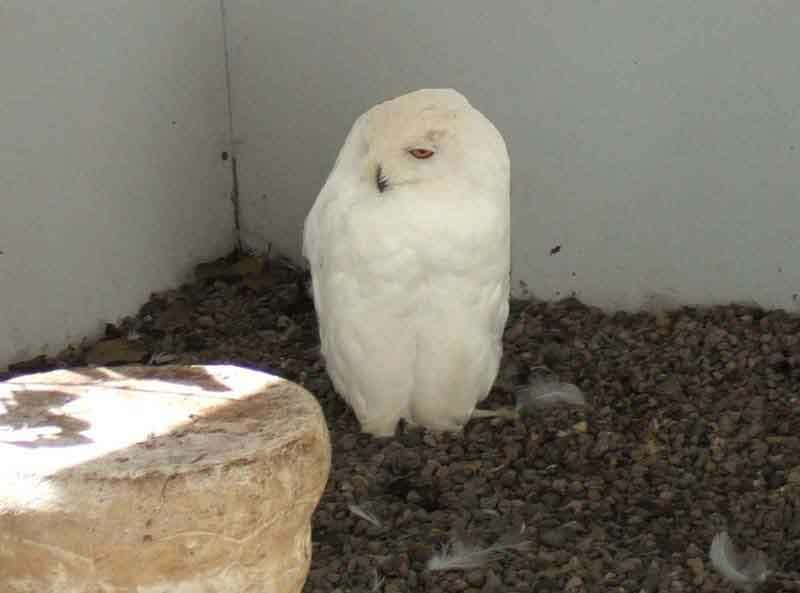 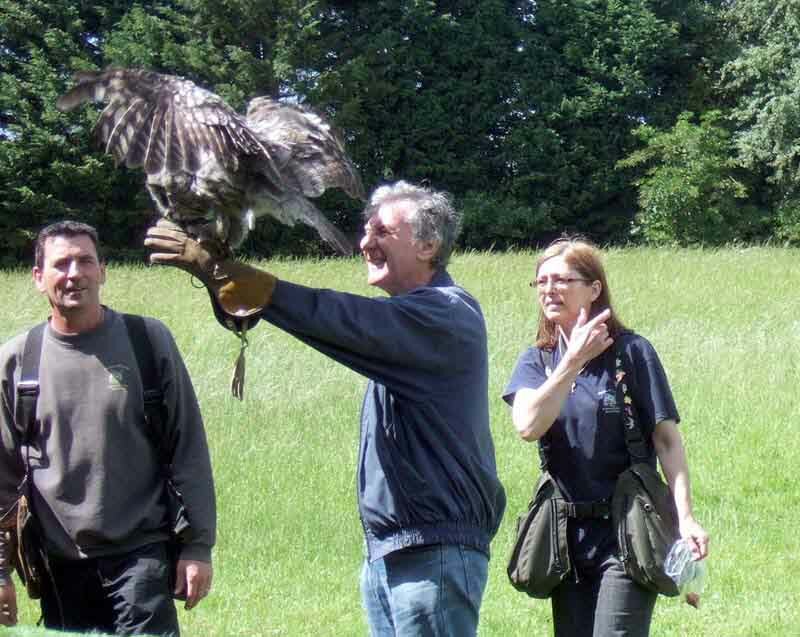 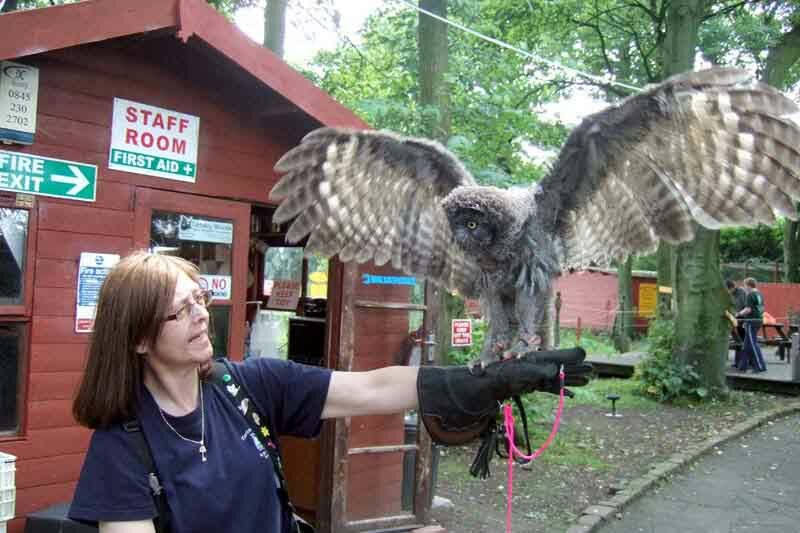 You would be paying about £50 to be flying birds like this at most other sanctuaries. 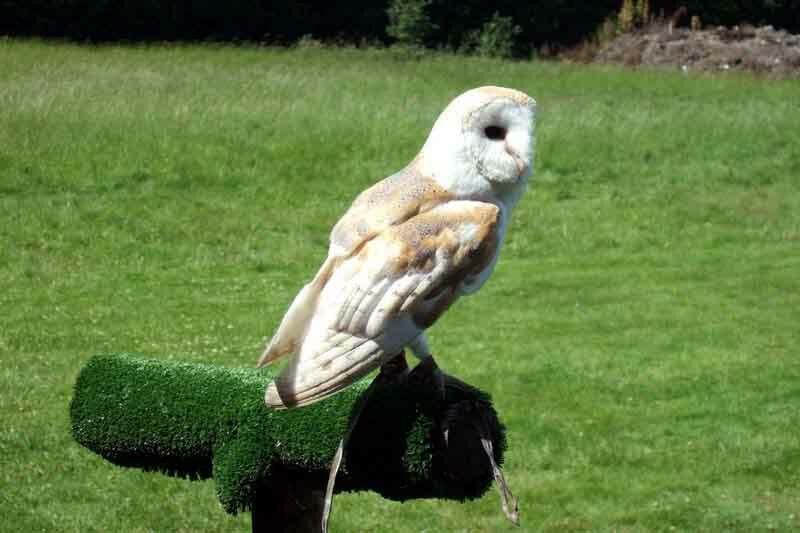 Pleased with this Barn Owl, with my auto-focus compact it's easy to get the background clear and the foreground blurred.